Here's your chance to throw like a pro! 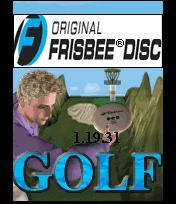 Curve your Frisbee around trees, over water, and past sand traps to land your disc in the basket. Cruise through the only mobile Frisbee golf experience on the planet! Navigate the unique terrain before the sun goes down or you will have to throw your glow-in-the-dark Frisbee in the night game! Get Ready for the ride of your life! Push the envelope of aviation in this multiplayer jaunt through the chaos and conflict of an online dogfight. Customize your plane with multiple color swatches, while you taunt other players with in-game text messages. Pull a daring loop to get behind your enemies and blast them out of the sky! Features online play, with up to 25 other players, awesome sound effects, and stunning visual effects customized for the small screen. FCDG is proud to introduce Mobile Brackets™, Men's College basketball tournament updates direct to your phone! Mobile Brackets brings you the latest information on the tournament games. Updates include: Scores and times remaining in the game, halftime scores and final scores. Track where you stand in your office pool with Mobile Brackets. Updates for each round of the tournament will be available. Multiplayer has never been so fun! Stay tuned for title announcement. FCDG is proud to introduce Multiplayer Pool, an online multi-player Pool tournament game. Multiplayer Pool allows players from all over the world to connect to each other and play pool online. Interaction is facilitated through the use of online 'flirts'. Online flirts(tm) allow users to send each other messages, while they are playing the game." Players are matched based on a variety of information that can be entered in a private profile on the phone. Players will be ranked according to wins, losses, ranked players played, and number of games abandoned. Players that frequently abandon games will be matched up with other players that do the same, so sportsmanship counts! FCDG Pool is a one or two player, full 15 ball game, which is supported using abbreviated rules. Game play is facilitated through use of a status bar that displays player turn, power setting and ball representation. Realistic sounds are played as the balls collide and are pocketed. FCDG Plumber is a time limited action game. Game play is facilitated through the use of a status bar that displays game Level, Score, Time remaining, upcoming available hose pieces, and status messages. FCDG has released FCDG Snowday, a shoot-em-up game for the BREW platform. The blue marauders have invaded your turf, and must be eliminated! FCDG has released FCDG Kayak, an interactive Kayak game for the BREW platform. Kayak down the river, avoiding obstacles. Flip your Kayak to let floating obstacles pass over you. Don't stay upside down too long, or you will drown.